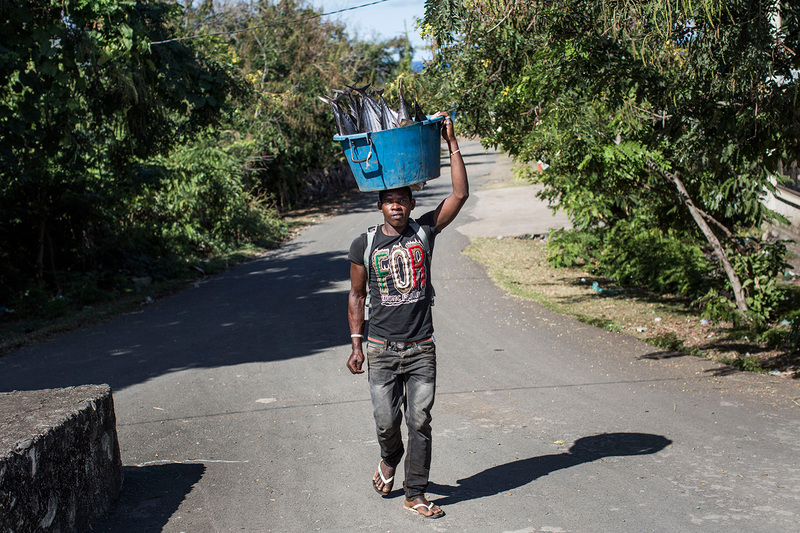 A fisherman carries fishes from the place where leave the kwassa to Mayotte. Domoni, Anjouan, Comoros. Thursday, June 18, 2015. Some fishermen prefer taking the risk to smuggle illegal migrants. They could go to jail, but it pays more than fishing.